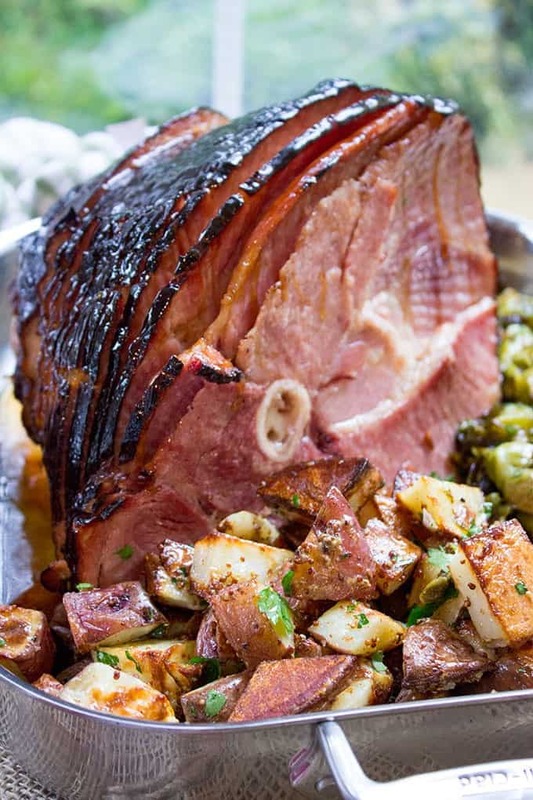 Campfire Sugar Ham with Dijon Roasted Potatoes adds a perfectly sweet and savory dimension to your Easter dinner. 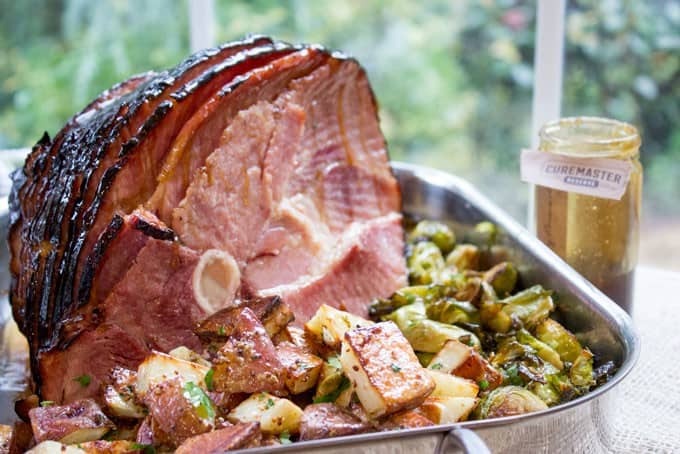 Campfire Sugar Ham with Dijon Roasted Potatoes Cured and Smoked, these limited edition CUREMASTER RESERVE™ Ham are a great addition to your Easter Dinner and are the generous sponsors of this post. All opinions are still my own of course, but they wouldn’t be in this post if I didn’t absolutely love the ham. I’ve also included menu ideas for different glazes if you prefer other flavors. With Easter coming up on our heels I’ve been having a lot of fun preparing my menu. 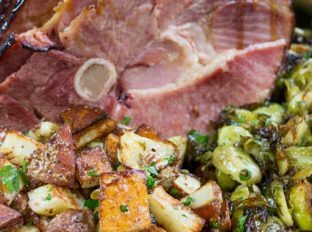 Today’s post with yesterday’s Tin Roof Bistro Brussels Sprouts makes a perfect plate of food for your Easter meal. CUREMASTER RESERVE™ Ham made the meal a total cinch to make and I am pretty in love with the gorgeous packaging it arrived in as well as the instructions which allow for wine consumption during the hands-off cooking process. Double win. Plus the small amount of ham we had at the end of the meal has made for some amazing breakfasts and lunches after being browned in a skillet. You can head over to the CUREMASTER RESERVE™ site and learn more about the different varieties, glazes and place your order, just maybe not on an empty stomach like I did when choosing mine. I ended up craving a sandwich at 6 o’clock in the morning (they all look so good!). The ham is delicious and hardwood smoked. My ham arrived with a certificate and I could tell it was one of just 2,400 hams (mine was #437) in the small-batch line that is overseen by only 7 different Curemasters in the last 50 years. The dijon roasted potatoes in the Campfire Sugar Ham with Dijon Roasted Potatoes meal are a total breeze to make too, a simple roasted potato wedge recipe quickly tossed with whole grain dijon mustard right when it comes out of the oven keeps the potatoes moist while crunchy and tangy all at the same time. I was drawn like a bee to a flower by the Campfire Sugar Rubbed variety with the Crunchy Brown Sugar Glaze made with crunchy sugar crystals from France. There are more varieties you can choose from including Vermont Maple, Clover Honey, Double Smoked and Brown Sugar. 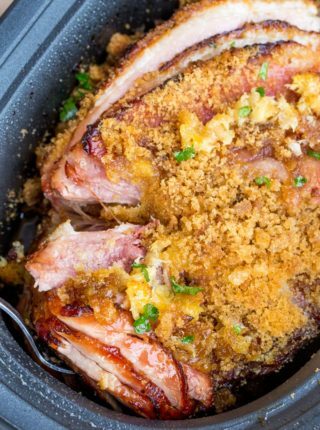 Crunchy Brown Sugar Glaze: With molasses and brown sugar these flavors are rich and sweet so you’ll want to pair it with light, bright flavors and a bit of acidity. The lemon juice and mustard in the potatoes and Brussels sprouts are the perfect accompaniment. Pineapple Ginger Glaze: With the bite from the ginger and the sweet acid from the Pineapple you can add a side of roasted sweet potatoes or a carrot soufflé as a sweet creamy counterbalance. Honey Dijon Glaze: Sweet from Honey and a bite from the dijon a light salad and sauteéd garlic green beans would round out the flavors. Apple Cider Bourbon Glaze: Sweet from the hints of Apple and a punch from the bourbon flavor you could pair it with roasted potatoes and a corn succotash. Cranberry Chipotle Glaze: A little kick from the chipotle would go great with a roasted bell pepper side along with a spicy cornbread pudding or Jalapeno Popper Cornbread. Brown Sugar Sriracha Glaze: Sweet heat from brown sugar and Sriracha, roasted Ginger-Garlic Carrots would play well with the Sriracha along with smashed roasted red potatoes. Heat your CUREMASTER RESERVE™ Ham according to the instructions with your packaging (especially the parts where you get to enjoy some wine! Ha!). Toss the potatoes with canola oil, salt and pepper. Spread onto a cookie sheet and roast for 25-30 minutes. Remove from oven and toss with whole grain mustard. I ordered the double smoked ham with the apple cider bourbon glaze. Serving it with grilled asparagus and roaster fingerling potatoes. Some good wine, and we’re all set!! Great! I hope it turns out delicious! This looks so delicious and full of flavor. My family would love it! Oh my goodness! This looks amazing! I think that I might try this for Easter this year! THANKS! 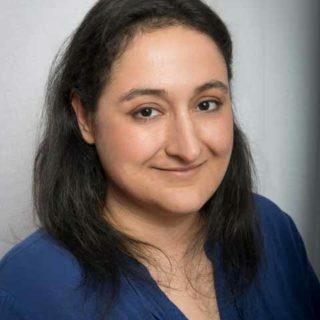 Thanks, Jeni! I hope you enjoy it! This is fantastic for sure! I’ve tried it and its really tasty and yummy at the same time. You almost can’t go wrong with a nice cut of ham! 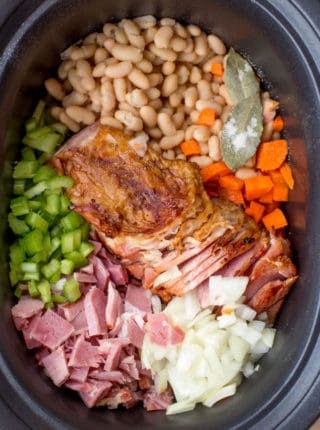 The ham looks luscious! I would pick the crunchy brown sugar glaze too, but the honey dijon also sounds delicious! This would be perfect to serve for Easter brunch, it looks so fancy and decadent! That’s a great idea, Stacey! A well-cooked ham is a great brunch item! Oh my goodness. This look amazing. And your photos are awesome! Haha! Unfortunately, my family already devoured the ham, so you’re out of luck there! You’ll just have to make your own! Oh my goodness, this is making my mouth water!! I haven’t had a ham in awhile. I think it’s about time. 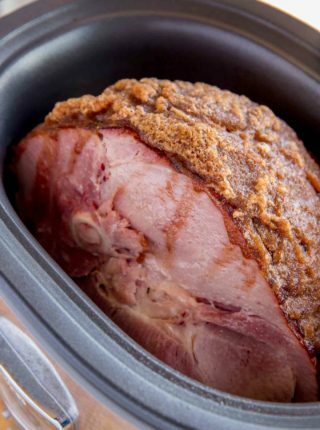 This ham looks awesome! Love that sweet glaze. There are so many delicious glazes to choose from. I wouldn’t know which one to try first. Everything looks so yummy! 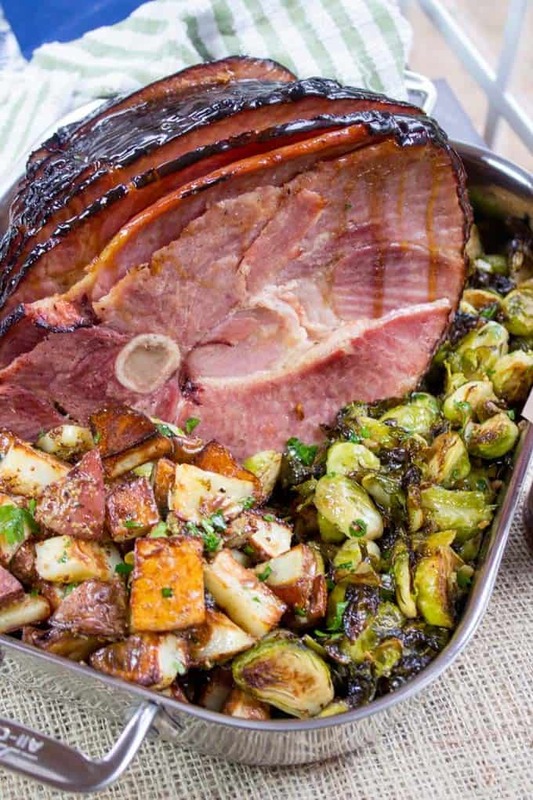 OMG that ham looks absolutely amazing, like the perfect centerpiece for a holiday meal! I’ll have to keep an eye out at the store for that brand of ham. I hate to disappoint, but this is a limited edition special-order ham only available online, so you won’t see it in stores any time soon! This would be perfect for an Easter meal for Mother’s Day. I love a glazed ham. Yummy! So many delicious glazes! I read the title of your post and immediately wanted to eat it. This would make an awesome Easter meal. We have not had ham for a long time. I will have to get the ingredients i need to make it on the weekend. Be sure to come back and let me know how you like it! I never thought to make ham with potatoes!! My husbands favorite part of Easter is the ham dinner. Ham and potatoes go great together! Ham is one of my favorite foods ever! This looks spectacular and prefect for Easter. My family loved it too! The variety of flavors for the hams made me absolutely starving! I would love to try the Apple Cider Bourbon Glaze. Sounds totally delish! Thanks, Dawn! Let me know if you try it! Wow. I’m not even sure what to say on this other than I. WANT. TO. EAT. IT! Just when I think you can’t possibly post something more delicious, you do! Thanks for the compliment, Stacie! I’m flattered! 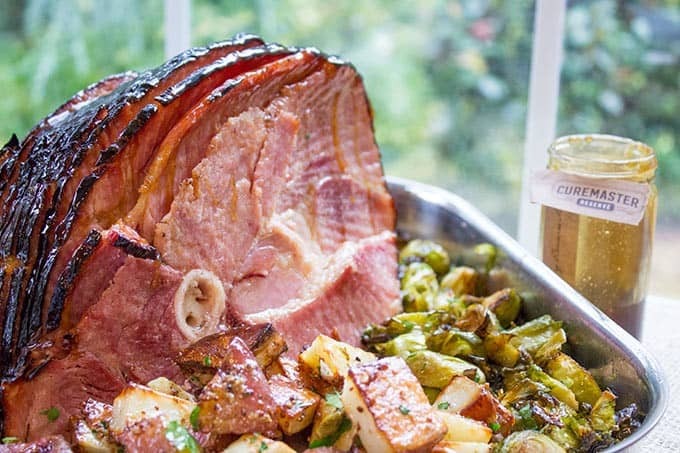 I would really like to try that Apple Cider Bourbon Ham. I think I might keep your russet potatoes with that version, though. They just look too good. Sounds good! You can’t go wrong with those potatoes! This would make the perfect Easter dinner meal! I need to try those dijon roasted potatoes! Thanks! 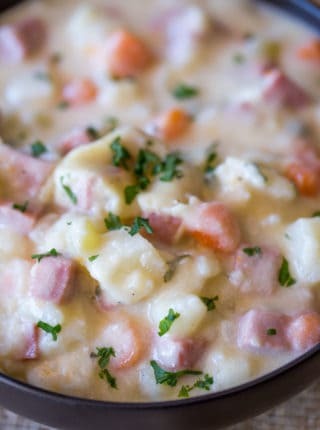 I love ham and potatoes for Easter dinner too! This looks amazing! Ham and potatoes are some of my favorites. Your photos make me want to eat this right now. I wish I had some ham now! I can’t wait to try out your recipe. Yum! 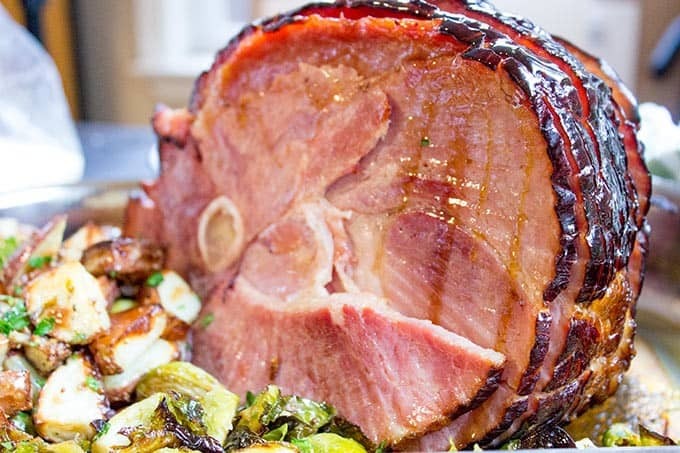 What a perfect ham for Easter Dinner! That glaze looks perfect too, yummy! Thanks, Angie! We really enjoyed it! Those potatoes sound awesome. What a yummy meal!